You’re good to go! This is what we had for a little treat after dinner tonight. SUPER easy to make, healthy and refreshing. You’re little ones will slurp it up and so will you! (Make sure to eat it fast because it melts quickly….which shouldn’t be a problem ….trust me). Just beware, if you have really little people in your home that eat this, they may SCREAM at the top of their lungs when there isn’t any more left. 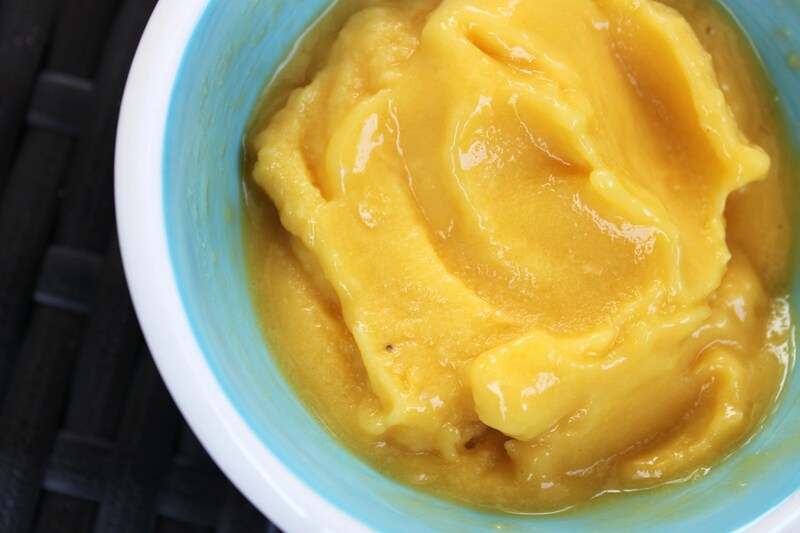 Just saying…..
Add the frozen mango, banana and 1/4 cup of almond milk to the food processor. Pulse a few times to everything moving. Process until smooth and creamy. Add remaining almond milk if needed to desired consistency. Scoop into bowls and enjoy ! Using coconut milk to make icing has been all over the web. 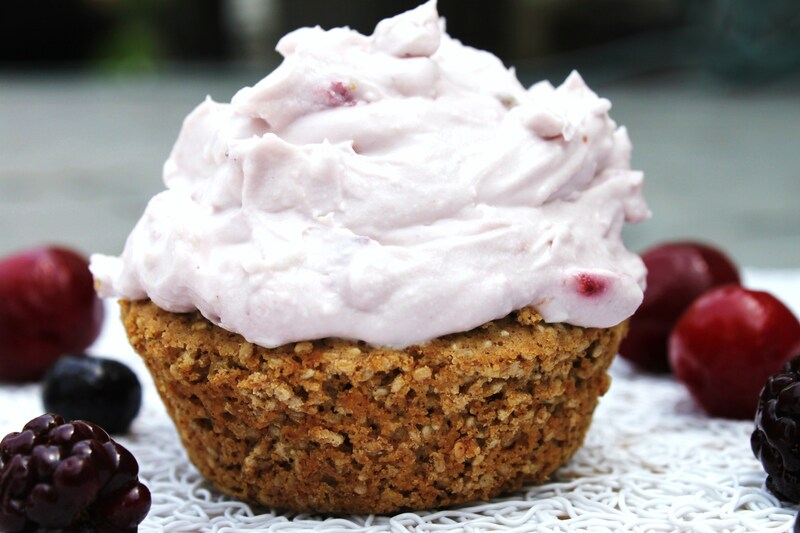 I decided to do my own take on it and made this fresh, light and fruity icing that is NOT loaded with refined sugar. The only sugar in it is a bit of maple syrup and natural sugar from mixed frozen berries. Talk about a nice alternative especially for kids to use on cupcakes (it would be perfect for a kids birthday party!). If you wanted blue icing you could just add blueberries by themselves 😉 Just remember that the icing needs to stay refrigerated until you are ready to use it. Also, you’ll need a hand mixer for this one. Use this whipped topping for cupcakes, muffins or even in a parfait. You’ll need to plan at least the day before to make this icing since you need to put the can of coconut milk in the fridge and let it sit overnight. This will separate the coconut milk from the coconut cream. About 1 hour before you are going to make your icing put a bowl in the freezer to chill. In the morning, take the can of coconut milk out of the fridge, flip it upside down and open it. The coconut milk will be on top….. you can pour that off (don’t put it down the sink! Save it to throw in a smoothie if you like!). Then once the liquid is gone you will be left with the coconut cream in the bottom of the can. Scoop this out into your chilled bowl. Add the maple syrup and vanilla and then mix on low until smooth and creamy. Add in your mixed berries and mix again on low until combined. You have just made a healthy alternative to conventional icing 🙂 Spread on, or use a piping gun to decorate cupcakes.